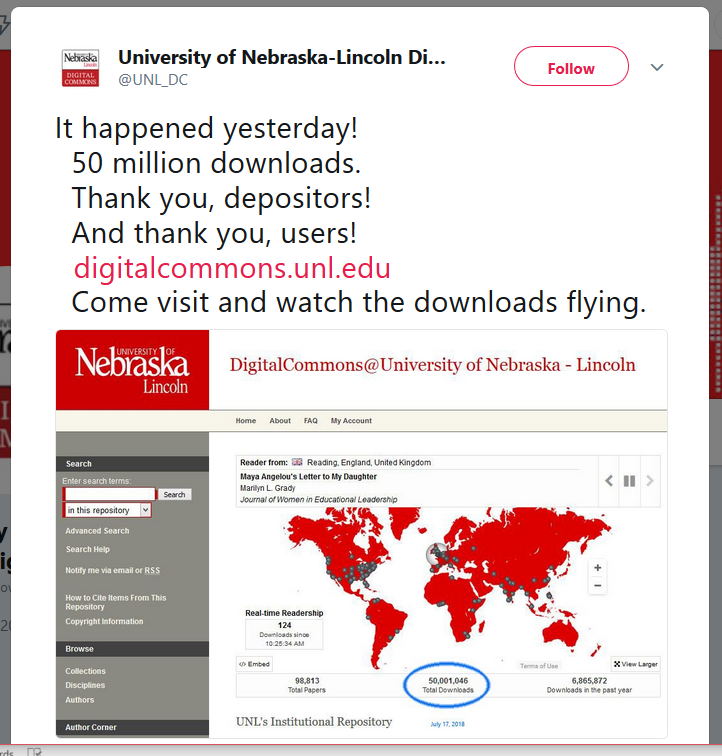 Home Community News DigitalCommons@University of Nebraska – Lincoln Reaches 50 Million Downloads! Paul points out that the IR is the university’s most visited subdomain, accounting for 15% to 20% of its web traffic. To garner this traffic he stresses leveraging the platform’s SEO strengths by including critical metadata; as Paul says, “No abstract, no point.” Paul’s already looking to the future—“Next milestone is 100,000 items, which should happen sometime in September”—and we’ll be here to salute him and the rest of the library team!